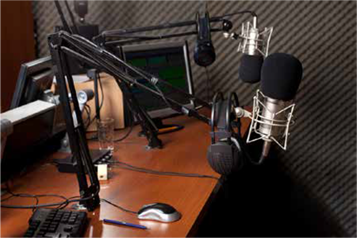 Creating a radio ad that cuts through the clutter and gets noticed is both a science and an art. There isn’t one specific way to get it done. There are, however, common elements that create the perfect balance for an ad that sticks. Writers who know how to script for radio, professional actors with flexible voices, and producers who go the extra mile to get the ad just right, are all key. Combine this with our ability to create a streamlined audio brand across multiple mediums and you’ll begin to hear the real Soundfactory difference – an ad that stands apart and is, above all, effective. Soundfactory radio spots have been recognized by the industry’s best. Our ads focus a listener’s attention right where you want it and our production makes it come to life. If you can hear it, Soundfactory can create it! Senior Communication Strategist Kim Harris Celebrates 15 Years with MWF! MWF Welcomes Kendra Claxton to Sales & Marketing Team! Making good local companies become great local brands.